In partnership with SamTrans, the Silicon Valley Community Foundation and the U.S. Marines Toys for Tots, the Holiday Train is coming your way again this season! A small train decorated with thousands of lights will make its way from San Francisco to Santa Clara, stopping at each Caltrain platform for a 15 minute performance, which will include a sing-a-long from a band and choir, a snow machine blasting out onto the platform, characters in costume interacting with the crowd (Santa, Frosty, etc.) and new toy collection! Volunteers will arrive at Menlo Park station BEFORE the train arrives to assist in arranging toy collection barrels and signs. Volunteers will also direct families and guests to bins where they can donate toys and help return toys and barrels to the Salvation Army vehicles. Please note that volunteers will not ride on the train. Click here for more details about Caltrain Holiday Train 2018. Contact: Melissa Doppler, melissa.doppler@usw.salvationarmy.org or 415.553.3528. Registration is available online. A BioBlitz is an event that focuses on finding and identifying as many species as possible in a specific area over a short period of time. At a BioBlitz, scientists, families, students, teachers, and other community members work together to get an overall count of the plants, animals, fungi, and other organisms that live in a place. Join this BioBlitz where you and experts come together to explore the park, and document observations of all living things in a short period of time. Docents will guide you and teach you to use the iNaturalist app on your smartphone or tablet to record all the living things you encounter. Flowers, trees, butterflies, dragonflies, and beetles, birds, and squirrels. We love them all - now let's go find them... Every little piece counts! Contact: Deb Kramer, Program Manager, deb@keepcoyotecreekbeautiful.org or 408.372.7053. Registration is available online. Save the Bay's mission is to protect and restore San Francisco Bay for people and wildlife, uniting the Bay Area to create a clean and healthy Bay. As climate change and pollution threaten the area, Save the Bay leads initiatives to make the region sustainable for future generations. With planting season in full swing for the next few months, Save the Bay will plant thousands of new seedlings from their nursery in an effort to restore critical habitat in the tidal marshes of Bair Island. Come join and lend them a hand, enjoy time taking in the beautiful landscape, and learn about the exciting changes each season brings to our local wetlands. No experience necessary. Gloves, tools and instruction provided. Each event is led by Save The Bay staff certified in first aid and CPR. Ages: All ages are welcome. Children under 14 must be accompanied by an adult. Contact: info@savesfbay.org or call 510.463.6850. Registration is available online. Ages: All ages are welcome at most events. Minors under 18 require a parent to approve the online waiver when registering. Children under 12 must be accompanied by an adult. Ages: Families with children eight and older are welcome to participate. Volunteers age 13-18 may participate on their own with a signed waiver. If you will be volunteering with children, the expectation is that they can be independent and support the bike parking program without needing to be supervised the entire time. You will be working together but must be able to leave them unattended at times. If you are unsure if this is an age appropriate volunteer activity for your child, please do not hesitate to contact the Community Programs Manager. At Temple Emanu-El Preschool, the child comes first. They offer a quality multi-faceted, socially and academically developmental curriculum that balances developmental, academic and Judaic learning. Students work on kindergarten readiness skills, such as ABC's and 123's, in addition to science, music, art, and more. The Temple school is community-based and open to children of all faiths. 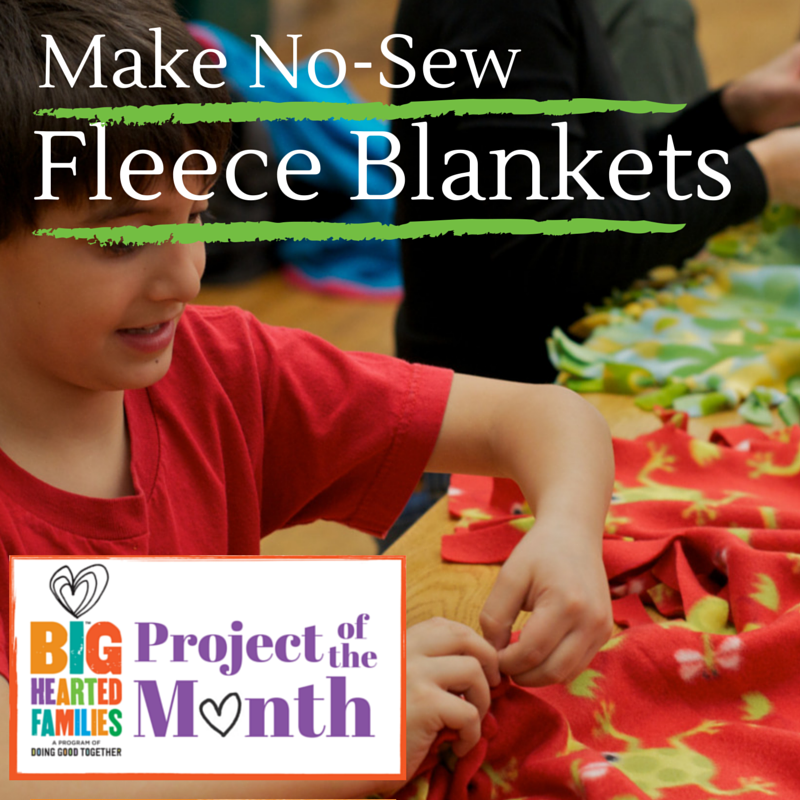 Families will work together to make blankets for the local Neonatal Intensive Care Unit (NICU), non-slip socks for a nearby convalescent hospital and plant flowers for a senior center. 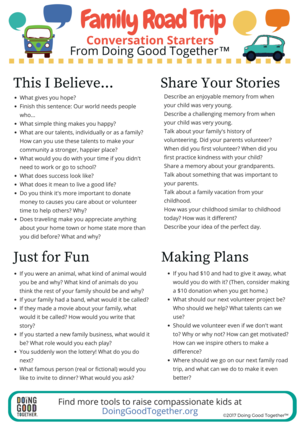 These types of activities help children learn the value of helping others, and families can experience the importance of working with their children to better our community. Contact: Barbara Smead, barbara@templesanjose.org or call 408.293.8660. Registration is available online. Since 2006, My New Red Shoes has worked to close the clothing gap for children and youth in-need through their "Clothing for Confidence" Program. Beyond providing the necessities of new shoes and clothing, they strive to create a long-term impact by boosting self-esteem and confidence, providing a sense of normalcy, increasing school attendance, engagement and readiness, and improving the overall educational experience and quality of life of our community's poorest students. Ages: Varies, depending on the volunteering role. During the holidays, many local organizations are collecting supplies, food, and gifts for families and individuals in need. 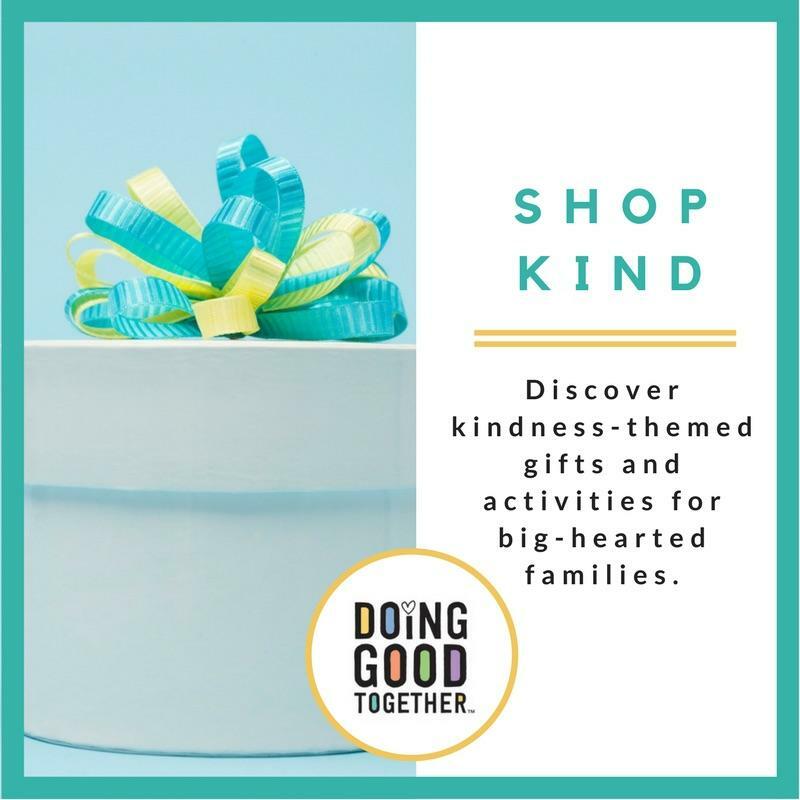 Consider shopping as a family for some of these needed items, collecting gently-used items from around your home, hosting a fundraiser or donation drive or creating greeting cards to go along with the gifts you provide! We recommend reaching out to the organizations in advance to confirm the dates items are needed by. SHCS distributes 7,400 holiday food boxes to families and toys to 6,200 children. Bring joy this holiday season by dropping off turkeys or new toys! Click here for more information, 1381 S. First St., San Jose. Monday through Thursday, 8am - 5pm; Friday 8am - 4pm; Saturday 9am - noon. The city is collecting nonperishable food items as well as new, unwrapped toys to be distributed to needy families this holiday season as part of its annual Food and Toy Drive. Drop off new unwrapped toys donations or non-perishable food through December 19. Toys can be brought to the Saratoga City Manager's Office (13777 Fruitvale Avenue), and food can be dropped off at the Joan Pisani Community Center (19655 Allendale Avenue) or the Saratoga Library (13650 Saratoga Avenue). Join us in our efforts to ensure that every child in need in our community receives a new, unwrapped toy this holiday season! The Marines of San Jose are proud to serve all of Santa Clara County by collecting toy donations and in return, giving thousands of new unwrapped toys to Santa Clara County families in need. Visit the San Jose area page for one of the many Toy Drop-Off Locations in your area. Location: Avaya Stadium, 1123 Coleman Avenue, San José. Free parking will be available at the back of the stadium. Head to the stadium and sign in at the registration table. Operation: Care and Comfort (OCC) provides support and comfort to "adopted" units of deployed U.S. military service members, serving in Iraq, Afghanistan, and other conflict regions. Working within the community and through donations received from all over the country, the organization assembles and ships care packages to their adopted units every month until they return home. They currently support up to 200 units on a monthly basis. 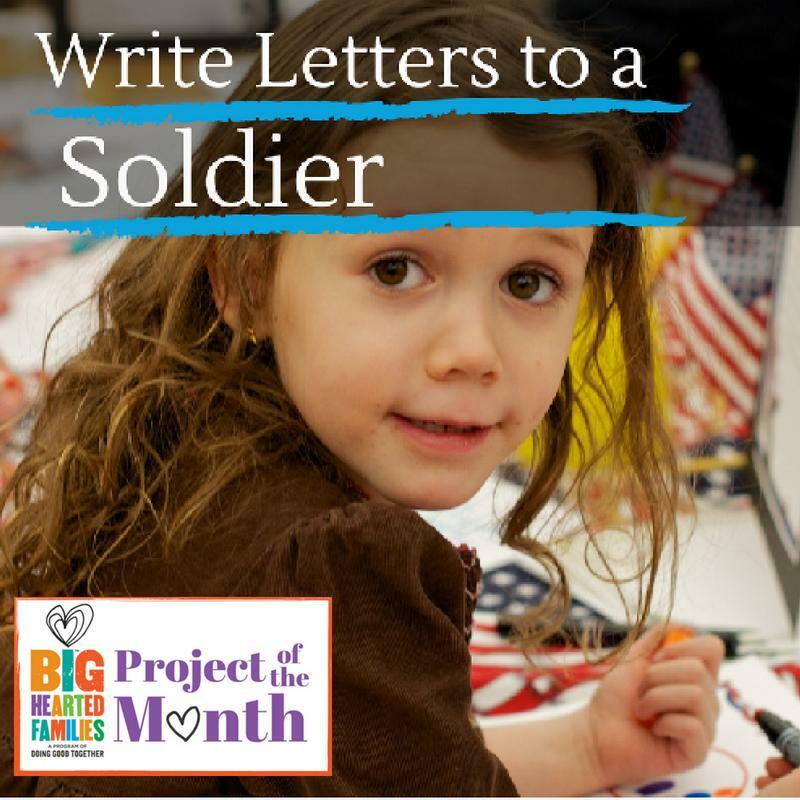 Join them as they sort, pack and box care packages for troops serving overseas. The troops overseas do not have the comforts of home, so mailing care packages filled with snacks, hygiene and leisure items bring them a touch of home. Be sure to wear your Santa hats and garb, and join the fun for the year's last public packing event. Light snacks and beverages will be provided. Ages: Families with children ages 5 and older are welcome to volunteer, but anyone under 16 must be supervised by an adult. 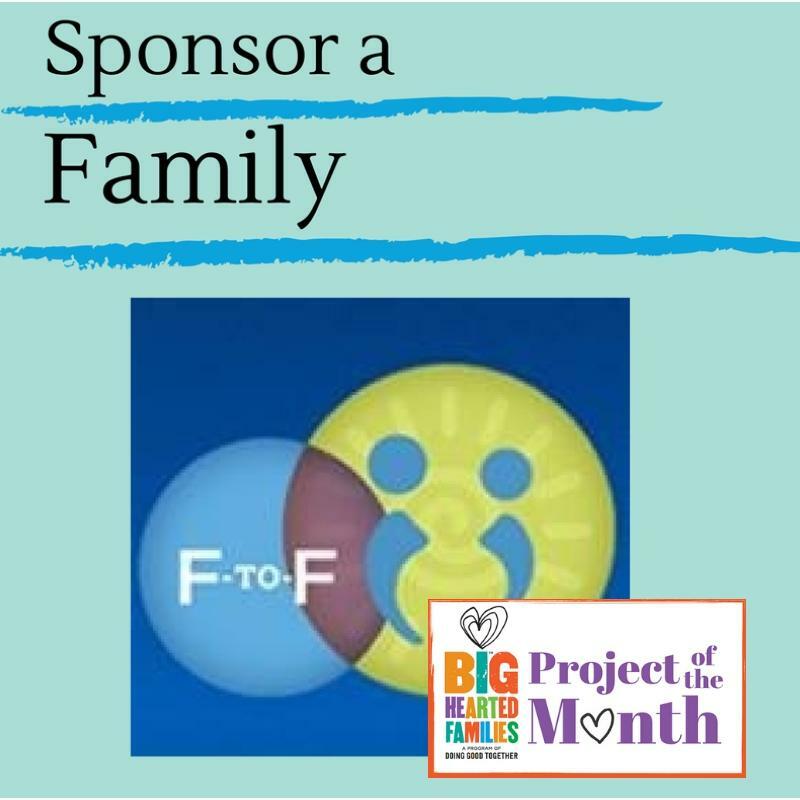 Sunday Friends empowers families to break the generational cycle of poverty by fostering positive development in children while educating and guiding parents to support their children's life success. 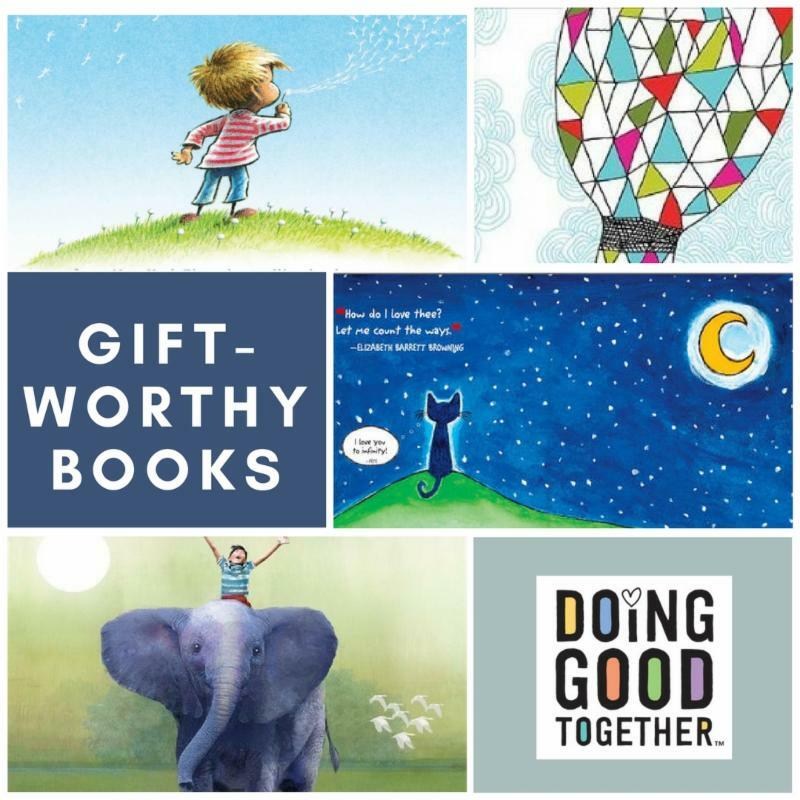 This event is important because the gifts we gather during our shopping spree will make it possible for children and parents to earn, select and gift wrap presents for their loved ones in Sunday Friends' holiday programs. Join us to give the gift of giving this holiday season. We meet at the front of the store, split up into shopping teams and divide up the money collected. We assign each team a "mission" (girls' toys, teens' gifts, dads' gifts, warming presents, etc.). Each team searches the store for the best gifts. We meet back at the registers to check out and award prizes. Each shopper must bring $10 - $100 (or more). For more information about this program, visit Sunday Friends' website. Ages: Families with children ages eight and older are welcome to participate. Santa Clara Unified School District's Farm produce is grown organically, picked fresh, and then sent to their students' cafeteria plates! Volunteers are needed to help put in stakes for their tomato plant crops, plant pumpkins, pull weeds, harvest food, water plants, and have fun working hard with other community members. Volunteers must wear gloves and eye protection for their safety. Also, please make sure to bring sunblock, water, and hats. Ages: Families with children ages 10 and older are welcome to volunteer. An adult must accompany children under the age of 14. Family Connections strives to make our community stronger through a ripple effect of positive, lasting change. This is accomplished by supporting and deeply caring for each individual family and, importantly, always respecting their unique situation. The Young Scholars Program supports underserved students who have participated in the Family Connections preschool program for at least one year and are entering Transitional Kindergarten or Kindergarten. After preschool, the Young Scholars program sustains positive family dynamics and learning opportunities for kindergarten and beyond so that participating students and their families have the tools and resources to become the drivers of their own success and leaders in their extended communities. Volunteers are needed to mentor and support Young Scholars Program participants. Ages: Families with children ages eight and older are welcome to volunteer. All minors under the age of 16 must have adult present. Contact: Sign up online through HandsOn Bay Area for full opportunity details and additional questions. Organized by HandsOn Bay Area and sponsored by The Walt Disney Company, this day of service helps families strengthen bonds to their communities and each other. This year, HandsOn Bay Area is partnering with Collective Roots, and activities will include installing a trellis system, building a small compost box, and painting terracotta pots. With only one grocery store for a population of 30,000 people, much of East Palo Alto is considered a Low Access Community by the U.S. Department of Agriculture. Collective Roots serves as an important space for community members to learn about growing food, as well as providing garden plots for East Palo Alto residents who don't have access to gardening space. Please wear closed-toe shoes and clothes you are comfortable getting dirty/painted. Ages: All ages and skill levels are welcome to participate. The International Rescue Committee (IRC) responds to the world's worst humanitarian crises and helps people whose lives and livelihoods are shattered by conflict and disaster to survive, recover, and gain control of their future. IRC is gathering welcome kits for newly arrived families, asylees and victims of Human Trafficking. Welcome kits offer refugees with primary sets of necessities upon their arrival and also increases their efficiency in distributing goods to their clients. The welcome kits include items, such as basic kitchen necessities, personal hygiene items, bedding, and cleaning supplies. Furthermore, donating a completed kit increases the staff's efficiency in distributing these goods to newly arrived refugees. Please label and package completed welcome kits in reusable bags/boxes and mail/deliver to the address above. Click here for a detailed list of items needed for the welcome kit. Contact: Please email Amanda Gamban, Amanda.Gamban@rescue.org or call 408.277.0255 to learn about drop off dates and times. Kick off the holiday season by joining your Silicon Valley neighbors at the biggest Thanksgiving block-party in the country! The Silicon Valley Turkey Trot is a 5K Run/Walk and 10K Run that benefits five deserving charities helping to fight hunger, homelessness and promoting healthy communities in the Bay Area. Contact: Kate Plant, Community Projects Coordinator at kate@bikesiliconvalley.org or 408.813.4485, or Membership and Outreach Coordinator, Jessica Waite at jessica@bikesiliconvalley.org. and deadline for Christmas food drives is Saturday December 15. You can make a HUGE impact in a family's life by organizing a holiday food drive! Help Sacred Heart ensure families in need have the opportunity to gather together for a bountiful holiday meal. Please visit their website to see the items most in need for the holidays. Choose your team: Invite your co-workers, classmates or teammates to participate in your drive. You can collect at your place of worship or with friends, family and neighbors! Choose your theme: For holiday drives, would you like to collect food or toys? Celebrate your success! Gather your team's collection and bring it to Sacred Heart. Let us know when you come so we can thank you personally. We can also take a picture of your group with your donations! Contact: You can register your drive online. If you have questions about hosting a drive, please contact Terri West at drives@sacredheartcs.org. Date/Time: Warehouse volunteers are needed in December. Registration for warehouse volunteers will begin six weeks before the warehouse opens. The Family Giving Tree fulfills the exact holiday wishes of those children in the most need in our communities while inspiring the values of kindness, philanthropy and volunteerism. Interested in volunteering during the Family Giving Tree's Holiday Wish Drive? They are always looking for people who want to have fun, are passionate about their work and love giving back to the community. The warehouse is a flurry of activity in December for the Holiday Wish Drive. Family Giving Tree relies on groups and individual volunteers to help set up the warehouse space, receive donations, sort and prepare donations, quality check donated products, help load agency cars, and clean up the warehouse space. Tasks will be assigned when volunteers arrive at the warehouse depending on most pressing needs at that time. Ages: Open to all ages; Children under 15 years must be accompanied by an adult. 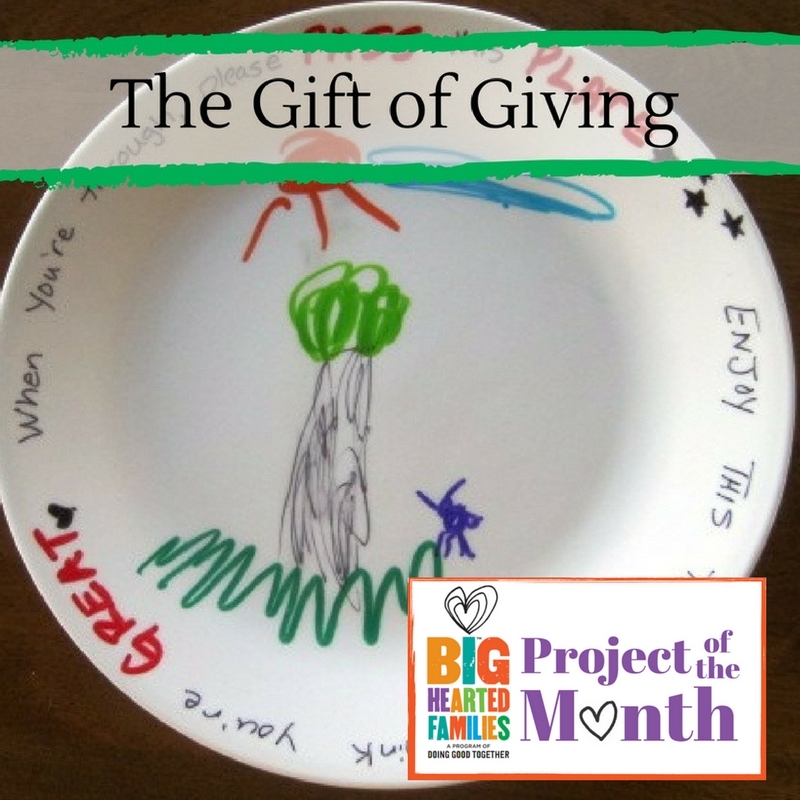 Contact: To sign up, email volunteers@familygivingtree.org. Registrations are taken on a first come first serve basis. The word Seva means service. Selfless service, or Seva (a Sanskrit word), is a service which is performed with no expectation of any kind of return. Community Seva is not a religious or faith-based organization. Community Seva has been carrying out their mission of cooking and serving meals, distributing blankets during winter and hygiene kits to the homeless for nearly five years, resulting in over 65,000 meals served. 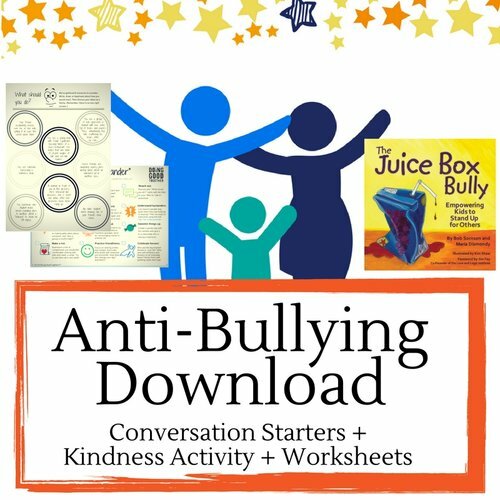 Additionally, they aim to empower children, the future citizens of our world, to learn empathy and participate by making a difference that they can see. As Silicon Valley grapples with historic levels of homelessness, staying clean is part of a daily struggle for thousands of men, women & children who live on the streets and in various emergency shelters. Community Seva helps volunteers to organize a CARE Bag activity to prepare 100 care bags containing basic hygiene kits, including articles such as toothpaste, hairbrush, shampoo, lotion, etc. and distribute these to homeless individuals. 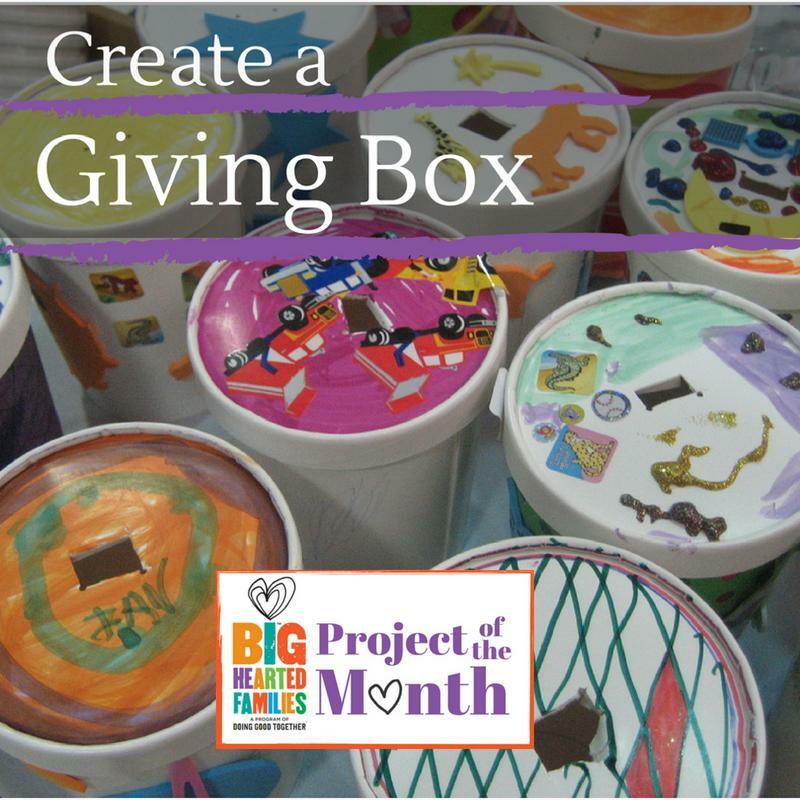 This activity takes place at the sponsor's house and can be a great way to celebrate birthdays and other special days in your child's life by encouraging them to volunteer and help the needy! There is a $200 cost to sponsor the CARE Bags activity. Community Seva requests that you sign up only once a year so as to allow others to take part in the activity. Ages: Families with children ten and older are welcome to volunteer at any of the meal Sevas.. All ages welcome to assemble CARE Bag Sevas. Location: 375 S. Third St., San José, CA 95112. Donate by mail or in person. The YWCA Child Care Center benefits survivors of domestic violence, sexual assault, and human trafficking. On December 8, survivors and families will be invited to celebrate the holidays with YWCA at their annual Holiday Party. Your holiday gift donation can help make this event even more meaningful! DONATE NEW & UNWRAPPED ITEMS: Donate gift and items for newborns to adults, such as: clothing, jackets & shoes, educational toys, books, craft items & games, personal care products, journals and make-up, bedding and linens, kitchenware and small appliances. GIFT CARDS ARE WELCOME: Donate gift cards for $15, $20, $50 or more for stores, such as: Target, Walmart, Kohl's, Barnes & Noble, Walgreens & CVS. Gift cards will be used for clothes and provide food for survivors of domestic violence, sexual assault and human trafficking during and after the holidays. Bedtime is a vulnerable time for every child, but for millions in America, it is especially sensitive. For these children who don't know a loving home environment, or who live unstable lives in unsafe situations, the treasured bedtime ritual most of us grew up with is unknown. The goal of Pajama Program is to change this part of the day with loving, magical gifts that offer a new reality. 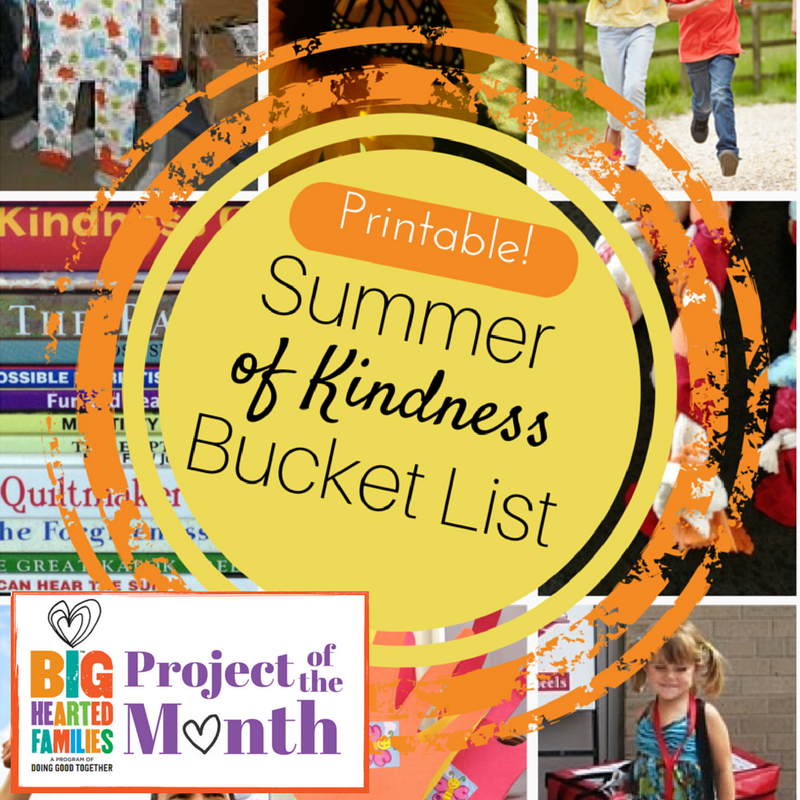 They accomplish this by gifting pajamas and books - ordinary objects that transform bedtime into a ritual of love, warmth, imagination and fun. The Bay Area Chapter's sorting party will help to sort, fold and deliver new pajamas and books to the children in need before the holiday season. Volunteers always have a great time together... and many hands make light work! HandsOn Bay Area has a variety of volunteering projects for youth of all ages. It's easy for the family to plan with this ongoing list of volunteer opportunities, segmented by age groups. 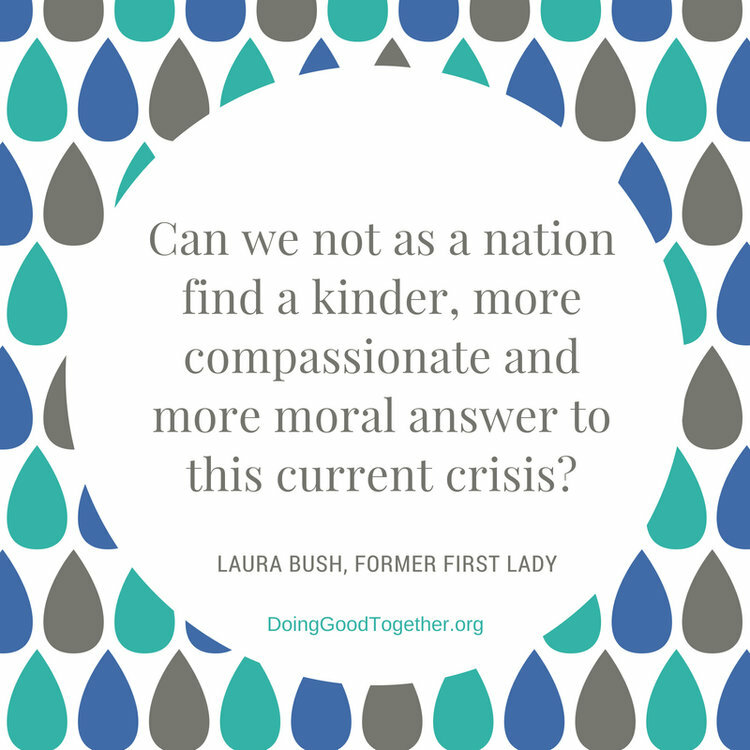 Referrals from Doing Good Together can use discount code doinggoodtogether for $5 off their one-time activation donation. Visit www.handsonbayarea.org/youth-guide for their full list of family-friendly volunteer opportunities! Ages: There are opportunities for families with children of all ages. Contact: Please see individual opportunities for contact information and details. Date/Time: Sundays - Shifts available between 10:30am and 5:30pm. There are some after school shifts on weekdays at the special store. Volunteers are needed to work directly with children, and occasionally their parents, to facilitate service and learning projects. 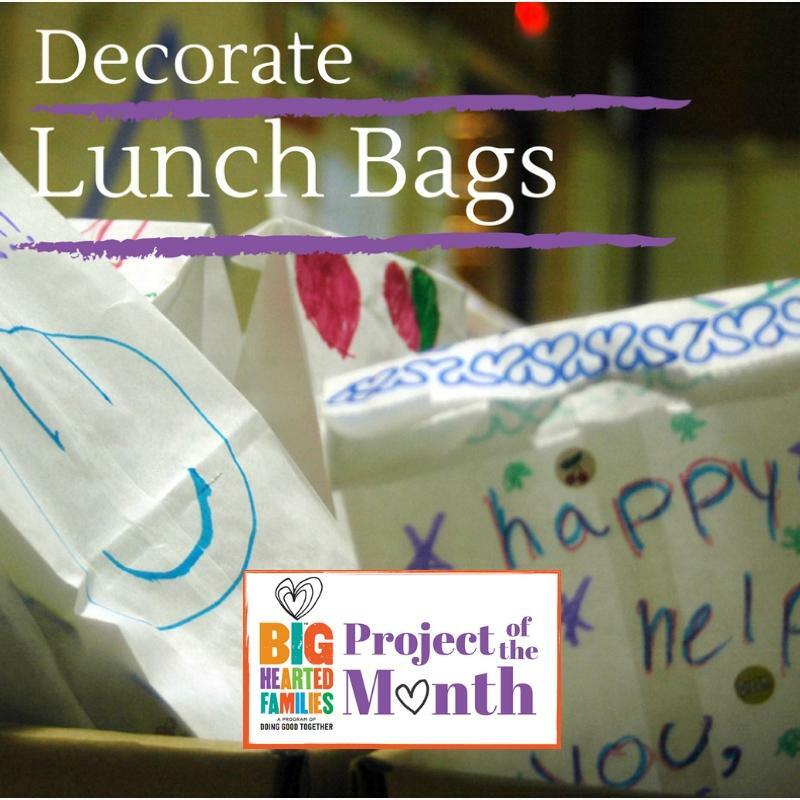 Projects include craft gift making, healthy food preparation, letter and essay writing, hands-on science projects, math and learning games, computer education, English as a Second Language classes, reading, book report writing, exercise class, parents' classes and more. Children and parents earn tickets for their participation which are redeemable for basic necessities in our special stores. Volunteers might also assist with the banking, store setup, or shopping. Ages: Eight and older. Teens, adults, families and groups are all welcome. An adult must accompany children under age 14. Volunteers are needed to support the Fourth Annual Harvest Festival at Martial Cottle Park. The event will include farm tours, pumpkin painting and carnival activities, historical ranch activities, food vendors, live music, a corn maze, fresh produce for sale, square dancing, face painting, and much more! There are many special event volunteer positions to choose from including set up, tear down, activity stations and more. All volunteers should bring a water bottle, sunscreen and hat. Snacks for volunteers will be available, but please bring a lunch or money to purchase lunch from the food vendors. Contact: Julie Kahrnoff, Parks Volunteer Program Coordinator, julie.kahrnoff@prk.sccgov.org, 408.204.1332. Registration is available online. Close to 12,000 people attend Day on the Bay every year to enjoy activities rich in diversity and talent, and rich in ethnic expression. The event will take place from 10am - 3pm, but volunteers are needed in the morning for set up, running various parts of the event, and tear down. Lunch will be provided for all volunteers! This fun-filled festival along the South Bay shores of Alviso features a health resource fair and a festive celebration of our diverse cultures. Other activities will include free pumpkins for kids, music, entertainment, free kayak rides, free hamburgers and veggie burgers, and, of course, the Cortese Zucchini Car Derby! There are many ways to keep your park beautiful! If you are looking to get outside and connect with new people right in your backyard, this is the opportunity for you. California native plants play an important role in the health of our parks. To help them thrive, we have to work together to remove non-native and invasive plants. The Maintenance Crew greatly appreciates the work that volunteers have done all around Hellyer Park over the past year, so let's keep it up! Ages: Children 12 and under must be accompanied by an adult. Minors 13 - 18 require a signed waiver. Minors with special needs must be accompanied by an adult. The Almost Eden Garden Project grows quality organic produce for local organizations that provide meals and services for homeless and low-income families. During our harvesting seasons (late summer and early winter), weekly deliveries are made to St. Anthony's Dining Room in Redwood City and to the South Palo Alto Food Closet. Garden tasks may include laying wood chips on walking paths, planting seedlings, weeding, digging and amending garden beds, trimming and/or turning compost bins. Be prepared to get dirty, bring your own reusable water bottles, and wear closed-toe shoes please! Family Connections strives to make our community stronger through a ripple effect of positive, lasting change. This is accomplished by supporting and deeply caring for each individual family and, importantly, always respecting their unique situation. After preschool, the Young Scholars program sustains positive family dynamics and learning opportunities for kindergarten and beyond so that participating students and their families have the tools and resources to become the drivers of their own success and leaders in their extended communities. Throughout the years, their parent leadership education and holistic family support systems help parents confidently and successfully embrace their role as their child's first teacher, most influential role model and best advocate. 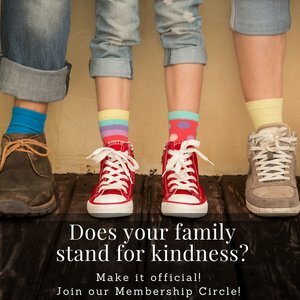 monthly Family-Friendly Volunteer Listing for them too! Click this link to sign up for our newest listing today! Ages: All ages are welcome to attend the event or to volunteer. Time Commitment: Volunteer shifts are two-three hours depending on the job. Contact: Please contact Kristy at kwentzel@alumni.stanford.edu, Mat mathewjachim@gmail.com or lifemovesride@gmail.com with questions or to sign up to volunteer. Just want to attend the event? Registration is available online. Grab your oldest clothes and shoes and come join us for a creek clean up. We have a mission to Reclaim, Restore and Revitalize our watershed. Many hands will make this work a lighter task. Volunteers are asked to arrive by 8:45 am for a safety presentation. We will be providing trash pick-up tools, trash bags, gloves. Please bring your own water container and we will be happy to fill and refill it! We ask everyone to wear heavy soled shoes, long pants, hat and sunscreen. Ages: Families with children ages 7 and older are welcome to participate. Volunteers under age 15 must be accompanied by an adult. All volunteers must complete the waiver form required by the City of San José. Location: Thousands of locations in California. See the online map for participating locations. On the third Saturday in September California cleans up! Be a part of over 1,000 inland and coastal cleanups all over the state. California Coastal Cleanup Day welcomes more than 60,000 volunteers who pick up hundreds of thousands of pounds of trash and recyclables from beaches, lakes, and waterways each year. This amazing day brings awareness to the marine litter problem and provides a community event for direct involvement. Help the Coastal Commission by joining in the fight to preserve wildlife by taking trash out of the environment. Plan to spend a day outside connecting with your community to celebrate California! Please click here to find out more about what to bring, what to wear, and what to expect at Coastal Cleanup Day. This event is part of the International Coastal Cleanup, organized by the Ocean Conservancy. California Coastal Cleanup Day is the largest volunteer event in the U.S., and International Coastal Cleanup Day is the largest volunteer event on the planet! Ages: All ages are welcome. All volunteers must have a signed waiver. Volunteers under 18 must have a parent or guardian's signature as well. Contact: Register for your local event using the Eventbrite links provided on the online map. You can also contact your local coordinator on this Cleanup Coordinator Contact List. The Campus Community Association, celebrating more than 35 years as a non-profit public benefit corporation, was organized to promote neighborhood spirit and improve the quality of life in the downtown community through education, awareness, group projects, volunteerism and community care. Bark in the Park™ is a fundraising event hosted by the Naglee Park neighborhood's Campus Community Association (CCA). All proceeds benefit local community organizations and pet-related charities including Humane Society Silicon Valley and San Jose Animal Care Center. Bark in the Park™ is the largest dog festival in the U.S. This event is free, open to all, with a suggested donation of $5 per adult. Dogs and kids under 12 are free! Low-cost vaccines and microchipping will be provided by Pet Awareness and Welfare Society (PAWS) for San José Animal Care and Services. Volunteers are needed to help with setup on Friday evening prior to the event and cleanup on Saturday evening after the event is over. Ages: Volunteer opportunities are available to minors under 16, if they are accompanied by an adult. All ages are welcome to attend the event. Time Commitment: Volunteer shifts are two hours. Contact: Volunteer@BarkSanJose.org. Volunteer registration is available online. Just want to attend the event? Registration is available online. Lytton Gardens is a not-for-profit residential and health care facility serving the elderly of the Mid-Peninsula. This is the first HUD (US Department of Housing and Urban Development) financed assisted living project in the US and sets a standard in accommodating the changing needs of lower income seniors. Lytton services over 550 seniors at any given time through their independent living apartments, licensed community care apartments and their Health Care Center. Join the residents at Lytton Gardens in a fun hour of Bingo, or other engaging activities to help cultivate an environment of independence and personal fulfillment for the residents. Ages: Families with children ages 10 and older are welcome to participate. Volunteers under age 16 must be accompanied by an adult. Your family can be a part of fighting hunger in our community! September is Hunger Action Month, and Second Harvest Food Bank invites you and your family to a special Family Food Sorting volunteer opportunity. To ensure safety and sanitation standards are met, you must follow these dress code requirements: closed toe shoes, long pants, and no tank tops. Ages: Ages 8 and up are welcome. Families must register individually, with a maximum group size of seven. There must be at least one adult with the family, with a ratio of 1 adult to every 3 minors (8-17). Please review the expectations for parents and guardians during the Family Sort. All adults 18 and up must fill out a Volunteer Agreement Form, and for all children under 18, a parental/guardian permission form must be filled out. Contact: For additional questions, email Second Harvest Food Bank at volschedscc@shfb.org or call 408.266.8866 ext.150. Pre-registration for this event is required and is available online. Viva CalleSJ is back! The City of San José's Department of Parks, Recreation and Neighborhood Services will be closing down miles of San Jose streets to bring communities together to walk, bike, skate, play, and explore the city like never before. This year the route will open 6 miles of San Jose's most iconic street, Monterey Road, for residents to enjoy car-free. Outreach Champion: Help us let residents know about the program. We go door to door, letting people know what is going on and how to get engaged. With six miles of open streets route to notify, we need lots of help! Hub Helper: Help set-up and manage a booth where you will pass out promotional and informational material to participants. Additionally, you will guide participants to the fun events going on at the different Activity Hubs happening along the route. Activity Hubs located along the route at this year's Viva CalleSJ include SoFA, Santa Clara County Fairgrounds, and Martial Cottle Park. Route Scout: Help preserve the safety of the event by patrolling the event on a bicycle, answering questions, giving directions, and helping inform participants about Viva CalleSJ road rules. Race Roadie: Help make the Run Viva CalleSJ 5K happen. Set up equipment, sign-in participants, and make sure everyone has a great day! Ages: Volunteer opportunities are available to minors 15 and older. All ages are welcome to attend the event. Time Commitment: Volunteer shifts are approximately four hours depending on the job. Contact: Volunteer Coordinator, Mollie Tobias, at mollie.tobias@sanjoseca.gov. Events Coordinator, Zacharias Mendez, at Zacharias.Mendez@sanjoseca.gov. Volunteer registration is available online. The Canary Challenge is a fully supported bike ride, offering a 5km walk/ride/run, 50km, 50-mile, 75km, and 100-mile rides. The rides cater to all levels of cycling strength - from children to fixed gear bikes and tandems, to time trial champions. All proceeds of the Canary Challenge benefit the Canary Foundation, the world's first nonprofit focused solely on early cancer detection. The Canary Foundation is based on a results-only business approach that focuses on cross-disciplinary collaborations and partnerships with renowned researchers, scientists and global institutions such as the Canary Center at Stanford and the Center of Excellence at the Fred Hutchinson Cancer Research Center -two centers that the Canary Foundation was instrumental in creating. Volunteers are needed! All volunteers will receive a T-shirt, food and beverages on the day of the event. The event usually gets 200+ volunteers who are able to assist with first-aid, check-in, greeting, cleanup and other tasks! Ages: Teens ages 13 to 14 may volunteer with a parent. Teens 15 and older are welcome to volunteer on their own. All ages are welcome to attend the event. Contact: hannah@canarychallenge.org. Volunteer registration is available online. Just want to attend the event? Registration is available online. Date/Time: Saturday, October 6. Two shifts are available: 10 - noon and 4 - 6 pm. Please sign up early to volunteer! The Big Wave Project is dedicated to creating an inclusive and interactive community of people and businesses to provide a purposeful and independent life for individuals with developmental disabilities through affordable housing, meaningful employment, and a supportive community. The Big Wave Farm was created to provide a place people to come learn about organic gardening, chicken care, and build community to support people with disabilities. Volunteers are needed to assist in setup and/or breakdown for the upcoming Annual Harvest Festival, a hallmark event at the Big Wave Project. It promises to be a fun-filled autumn celebration for the entire family, so you can volunteer AND join us for the festivities! Look forward to: pumpkin decorating, flower arranging, water balloon toss, pie-eating contest, an old-fashioned cake walk, silent auction, cork pull, live music, dancing and much more! You'll also have a chance to visit the chickens, check out the harvest, and purchase a perfect Halloween pumpkin from Big Wave Farm's bountiful pumpkin harvest. Contact: Email Christine Preziosi, farm@bigwaveproject.org. Location(s): Choose a location that is convenient for your family. The mission of There With Care is to provide a wide range of thoughtful and fundamental services to children and families during the critical phase of a medical crisis. They serve families referred by medical agencies, by building a network of services and people who ease the burden of life's day-to-day obligations with compassion and care. Assisting with warehouse organization and inventory processes. Working on administrative tasks and special projects. 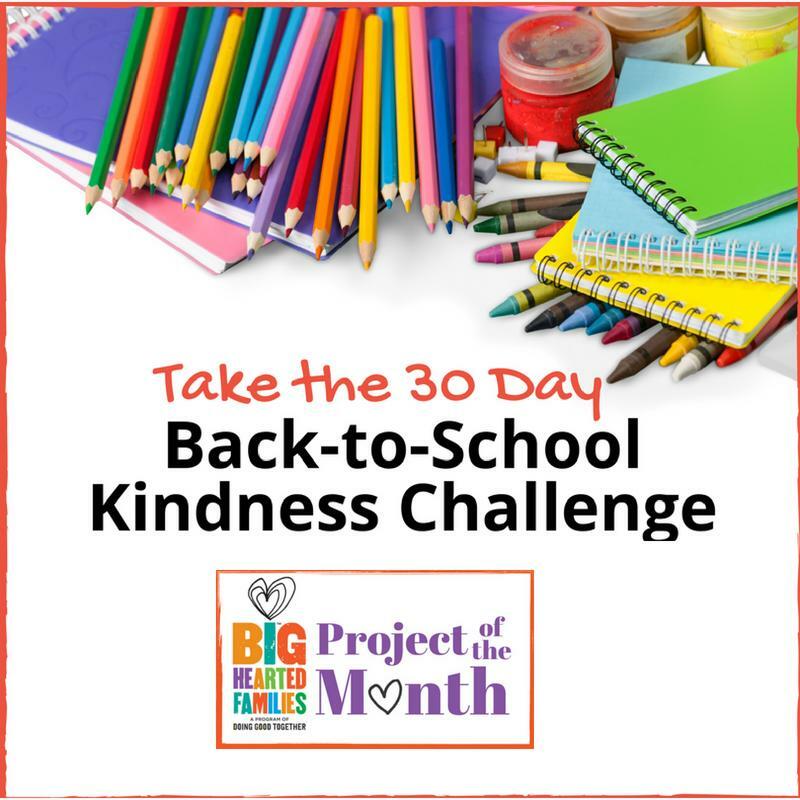 Creating Family Care Kits, hosting Team Bake Chop, Food Bank Shopping, coordinating a drive for needed items, and more. By request, a group project can be hosted at a location of your choice. Ages: Children and youth of any age must be accompanied by an adult, and can participate in almost all volunteer experiences, including deliveries to families. Time Commitment: Varies. Choose to volunteer one-time, multiple times, weekly or monthly. Ecumenical Hunger Program (EHP Cares) partners with the local KIWANIS club to host a "Wednesday Night Meal" at the Saint Francis of Assisi Church. This FREE meal is an open-invitation to anyone in the community who needs a nourishing, hot meal. Volunteers are needed to help with meal preparation, meals service, and clean-up. 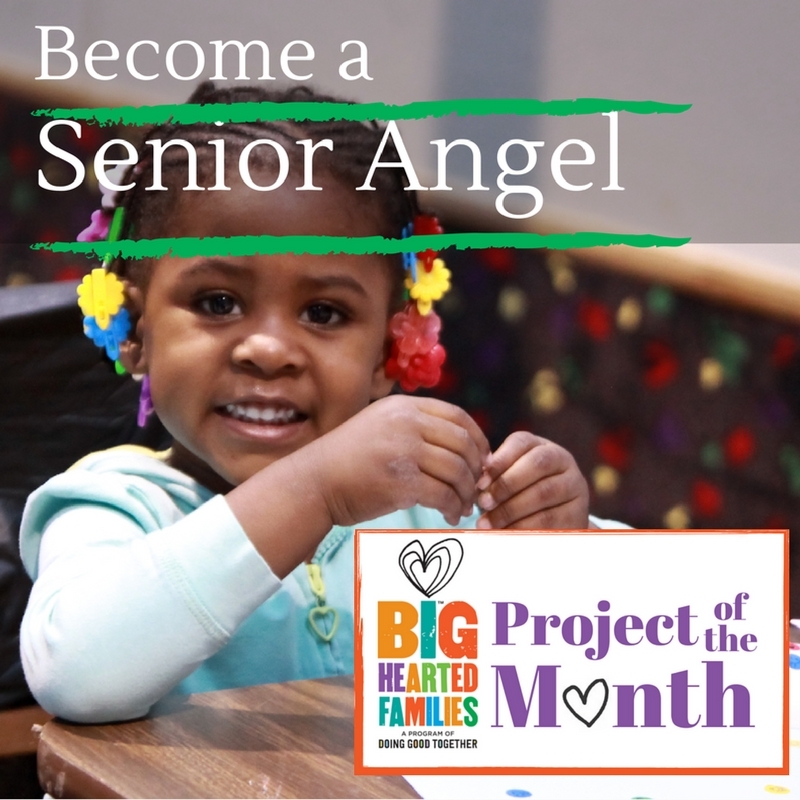 EHP has served families in need in our community for over 43 years. They provide free emergency food, clothing, household essentials, furniture, support programs and referral services to individuals and families in need in the community. Ages: Ages six and older are welcome with an adult present. Teens can volunteer with parental consent. Time Commitment: Flexible. Volunteers may work the entire time or part of the time, as they are available. Looking to have fun while helping a great cause? Join the rockstar team of volunteers at the annual American Diabetes Association Walk, Run, Ride Fundraiser, the 2018 Tour de Cure. This is a huge event with over 1,000 participants so they need YOUR help! Approximately 200 volunteers are needed to help with set up, registration, lunch, and many more roles. Volunteers will receive a 2018 commemorative volunteer t-shirt and complimentary lunch ticket. Ages: Recommended for ages 10 and up, but we can accommodate younger volunteers (with parents) if spots for kid-friendly duties are still available. Time Commitment: Varies. Approximately two to three hours depending on role. 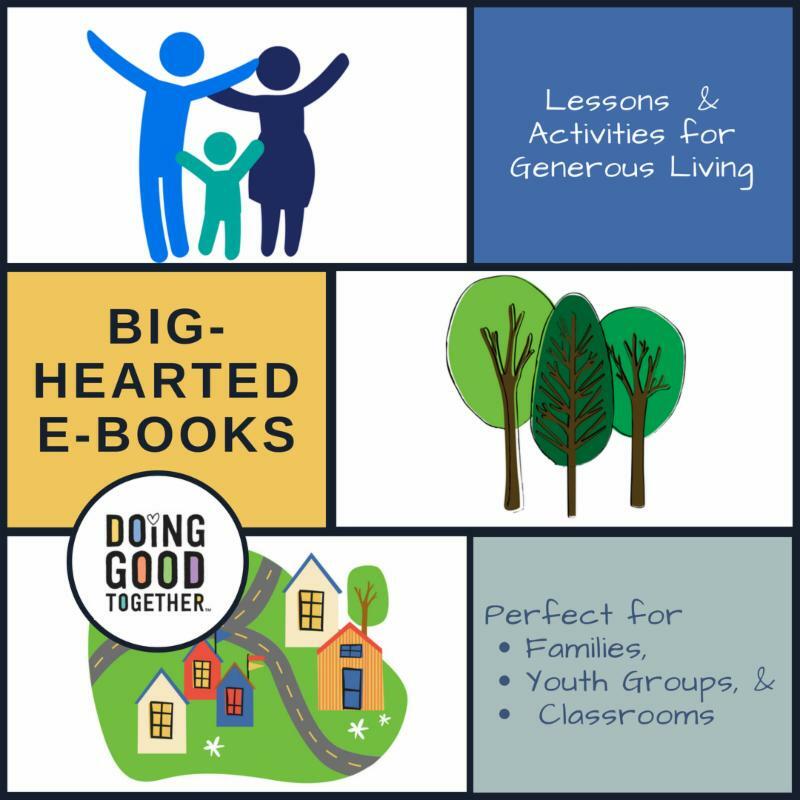 The Big Wave Project is dedicated to: creating an inclusive and interactive community of people and businesses to provide a purposeful and independent life for individuals with developmental disabilities through affordable housing, meaningful employment, and a supportive community. The Big Wave Farm was created to provide a place people to come learn about organic gardening, chicken care, and build community to support people with disabilities. Volunteers are invited to help out on Farm Days, occurring every 2nd & 4th Saturday of the month, which are aimed at maintaining and improving the farm. Projects range from building composting bins, constructing trellises or chicken coops, and growing harvesting fruits and veggies. Ages: Families with children ages 5 and older are welcome to volunteer. Children under 13 must be accompanied by an adult and minors under 18 are allowed with a signed waiver. Tunitas Creek Beach is a hidden gem to the South of Half Moon Bay that, due to its secluded and challenging location, has been pretty badly polluted by visitors. Volunteers are needed for their monthly clean-ups to keep this beach beautiful and its sea life safe and healthy. TLClocals is a movement to strengthen local communities through community projects, fundraising, small business support, and local classes & workshops. Tunitas Creek Beach Clean-Ups are organized in partnership with San Mateo County, CalTrans, Pacifica Beach Coalition and Heirs to Our Oceans. Ages: There are no age restrictions, however it is not recommended for toddler aged children or younger due to the challenging hike, glass on the beach, and other dangers. Contact: aloha@TLClocals.org with additional questions, information or concerns. Registration is available online. Location: Santa Cruz Riverwalk, between Soquel Avenue and Laurel Street Bridges. Directions will be provided upon registration. Join Coastal Watershed Council staff in making a difference in the lower San Lorenzo River. Volunteers will help with caring for native plants as they grow and create habitat along the river. While you are at the river, take a closer look at the willows, alders, evening primrose and mugwort native to the watershed. Listen to the calls of bushtit and warbler over the babble of the lower river, and learn about this unique river ecosystem. Volunteers should dress in comfortable gardening clothes, including long pants, socks, and sturdy shoes. Please bring sun protection and a reusable water bottle. Ages: Families with children five and older are welcome. Volunteers under the age of 18 must be accompanied by an adult. Contact: info@coastal-watershed.org, 831.464.9200. Registration is available online. Location: Arastradero Preserve, 1530 Arastradero Road, Palo Alto. Meet at the buildings next to the parking lot. Join Grassroots Ecology for a unique opportunity to see Arastradero Preserve during the evening and see what late summer wonders there are to discover. Participants should expect to stay for the entire duration of the hike. Bathroom access will be available at the start and end of the hike. Please bring: a flashlight (bring one with a red filter or red tape if possible), a reusable water bottle, dinner or snack. Dress for hiking, rain, and cold nighttime temperatures (sturdy closed-toe shoes, long pants, and layers are recommended). Ages: All ages are welcome to participate. Children under 12 require an accompanying adult and minors under 18 who are not accompanied by an adult require a parent to approve the online waiver when registering for this event. Contact: Melisa Perez, melisa@grassrootsecology.org. Registration is available online. The Family Services Department at Salvation Army Silicon Valley makes weekly distributions of fruits and vegetables to the public. Volunteers are needed to bag fresh produce into smaller distribution units that will be given to individuals and disadvantaged families. Volunteers are reminded to wear closed-toed shoes and dress in clothing appropriate for working outdoors. Volunteer waiver forms are required and will be provided after registration has been confirmed. Ages: Families with children 12 and older are welcome to participate; volunteers under 15 years old must be accompanied by an adult. Contact: Liwayway Gimenez, liwayway.gimenez@usw.salvationarmy.org or 408.282.1165. Date/Time: Ongoing. Thursday and Friday, 9am - noon. Shifts can be flexible, so please inquire if you're interested in volunteering at a different time. The mission of Our City Forest is to cultivate a green and healthy Silicon Valley by engaging community members in the appreciation, protection, growth and maintenance of the urban ecosystem, especially our urban forest here in Silicon Valley. Over the past year, Our City Forest has planted over a dozen trees in the new 2-acre site located within Martial Cottle Park. There are plenty of opportunities to build and maintain an ever-increasing number of projects here! Bring water (re-usable containers encouraged), snacks, sun protection, and clothes you don't mind getting dirty. Closed-toed shoes are required. Ages: Children under the age of 12 must be accompanied by an adult. Youth ages 13-17 need to either have a signed permission slip from their parent/guardian (will be emailed once you sign up) or be accompanied by an adult. Contact: Email treecarevolunteers@ourcityforest.org or 408.998.7337 x118. You can also sign up online: sign up as a "Tree Care Volunteer" and indicate "Martial Cottle" in the message section. Each year Canopy volunteers and partners comb through Palo Alto neighborhoods to survey the health of hundreds of young street trees. The results of the survey help guide the City of Palo Alto Urban Forestry as they maintain and grow Palo Alto's vibrant urban forest. This is a fun, flexible volunteer opportunity for all ages--and a great way to learn your street trees! Contact: Uriel Hernandez at uriel@canopy.org or 650.964.6110 ext. 4. Registration is available online. Listen to campfire stories and make s'mores! No waivers are needed and free parking is available. This event is sponsored by San José Parks, Recreation and Neighborhood Services, Keep Coyote Creek Beautiful, and the Open Space Authority of Santa Clara Valley. Contact: Deb Kramer, Program Manager, at deb@keepcoyotecreekbeautiful.org or 408.372.7053. Registration is available online. Help keep Coyote Creek clean by participating in a creek clean-up this summer. Trash from nearby gutters, including cups, cigarette butts, and straws, come down the storm drains or blow around in the wind and into the creeks. You and your family can help remove this litter from Coyote Creek by joining a cleanup crew for a few hours. Be sure to wear long pants, sleeves, and closed-toed shoes since you will be near poison oak and around loose or muddy soil. All participants must bring a signed waiver. Ages: Families with children ages 5 and older are welcome to volunteer. Children under 13 must be accompanied by an adult, with a minimum ratio of 1 adult to 5 kids; 13-18 are allowed with a signed waiver. Contact: Kate Plant, Community Projects Coordinator, kate@bikesiliconvalley.org, 408.813.4485. Registration is available online. Join Canopy as they continue to do some much-needed tree care work on young trees. All tools and equipment will be provided and snacks will be provided in the morning. Volunteers must wear closed-toe shoes and are encouraged to bring reusable water bottles. Date/Time: Varies, Weekdays 3:30 - 6pm. Availability is very limited. Check online calendar for available dates. The mission of Loaves & Fishes Family Kitchen is to provide hot nutritious meals that are prepared, delivered and served to disadvantaged individuals with a special concern for children, families, seniors, veterans, and the homeless. All are welcomed, no questions asked. Loaves & Fishes provides hot meals at no cost, Monday through Friday at Catholic Charities' Eastside Neighborhood Center and Goodwill Industries, targeting low-income families, seniors, single women, couples, and the homeless. In addition, Loaves & Fishes partners with 30 nonprofit agencies from as far South as Gilroy to as far North as Palo Alto to provide free hot meals to their guests. Ages: Families with children age 10 and older are welcome to volunteer. Children 13 and under must be accompanied by an adult. Contact: Hyru Gau, Volunteer Manager, volunteer@loavesfishes.org or 408.922.928. Registration is available online. Date/Time: Varies, Friday mornings 9 - noon. Check online calendar for dates and availability. The Loaves & Fishes Farm, located on the Goodwill of Silicon Valley property provides fresh vegetables for their dinner service program. Volunteers are needed to help with weeding, planting, and harvesting vegetables. The mission of Loaves & Fishes is to provide hot nutritious meals that are prepared, delivered and served to disadvantaged individuals with a special concern for children, families, seniors, veterans, and the homeless. Ages: Volunteers age 12 and 13 are welcome to participate when they are accompanied by an adult; volunteers 14 and older can participate on their own. Contact: Hyru Gau, Volunteer Manager, volunteer@loavesfishes.org or 408.922.9285. Registration is available online. Ages: All ages welcome at most events. Minors under 18 require a parent to approve the online waiver when registering. Children under 12 must be accompanied by an adult. At Home Humanitarian is a grassroots effort focused on socially integrating refugees, asylees, and immigrants while building tolerance and understanding throughout their new communities. Our core work focuses on mentor matching, community acculturation events, and providing extracurricular opportunities. Volunteers are essential to Tri-City Volunteers food bank's daily grocery cart preparation and distribution. We need approximately 40 warehouse volunteers a day to ensure that as many as 350 client families per day receive adequate nutrition. Volunteers also help us sort and hang donated clothing and attractively merchandise our boutique thrift store, which provides very low-cost items to struggling families. Community volunteers are the heart of our agency. Not only do volunteers work directly with low and very-low income families, they bring to life our vision of a community united together to ensure that every child and adult in our area is not just free from hunger but can access pathways to financial stability and self-sufficiency. While volunteers assist families in Tri-City Volunteers' food bank and thrift store, they are also mentoring and deeply connecting with others. That is the real strength of our work. Ninety-five percent of children who live by the border of Kenya and Uganda do not own shoes. They are infected by fleas and parasites as a result. Giving them shoes is an effective way of preventing infections. Bay Area volunteers are collecting 30,000 shoes to send to the children in the fall. Thank you for joining the movement with us as your generous donations will help them take a step closer to a brighter future. Please see the Program Flyer for donation guidelines. Date/Time: Supplies can be picked up Monday - Thursday, 8am - 3pm, and Friday, 8am - noon. The Anti-Graffiti Program recruits new volunteers to assist with graffiti abatement. We provide possible clean up locations or you can adopt your own neighborhood. The Anti-Graffiti Kit contains safety gear, chemical gloves, safety glasses, and 8 oz bottle of solvent, sponge, and rags. Volunteers must call for an appointment to pick up supplies. Ages: Everyone is welcome to participate. All volunteers are required to fill out a Volunteer Service Agreement. Contact: Dustin Gordon, dustin.gordon@sanjoseca.gov, 408.595.3483. For more information please call the Anti-Graffiti Program Office at 408.975.7233. Location: Click on the Adopt-A-Park Map to find available parks. Adopt a Park volunteers are needed to help with many different landscaping and maintenance tasks. We provide the tools and the volunteers can go out and help spruce up the park when it is convenient for them. Plus, it's a great way for everyone to socialize and get a bit of fresh air and sunshine, all while making a difference, close to home and where the children play! Time Commitment: This is an ongoing commitment, for one year. It's a great opportunity for families to contribute eight hours of service to their local park each month. Volunteer help is vital to enhancing the work of park staff. Sunday in the Park Volunteer Days are a great way for families to socialize and get a bit of fresh air and sunshine, all while making a difference in your local park! All tools are provided. Ages: Everyone is welcome to participate. All volunteers are required to fill out Volunteer Service Agreement. Contact: Mollie Tobias, City of San José Program Manager, 408.535.3588, mollie.tobias@sanjoseca.gov. No pre-registration is needed. June 1: Stevens Creek, 11401 Stevens Canyon Rd. Cupertino, Meet in the Chestnut Parking Lot. June 2: Santa Teresa, 260 Bernal Rd. San José, Meet at the Pueblo Area. June 16: Bowhunters Park Beautification:11401 Stevens Canyon Rd Cupertino, CA 95014, Meet at the Archery Range lot. June 29: Sanborn, 11401 Stevens Canyon Rd. Cupertino, Meet in the Ohlone Parking lot near the kiosk at the park entrance. June 30: Mount Madonna Deer Pen, Mount Madonna County Park 7850 Pole Line Road Watsonville, Meet at the Ranger Station. California native plants play an important role in the health of our parks. 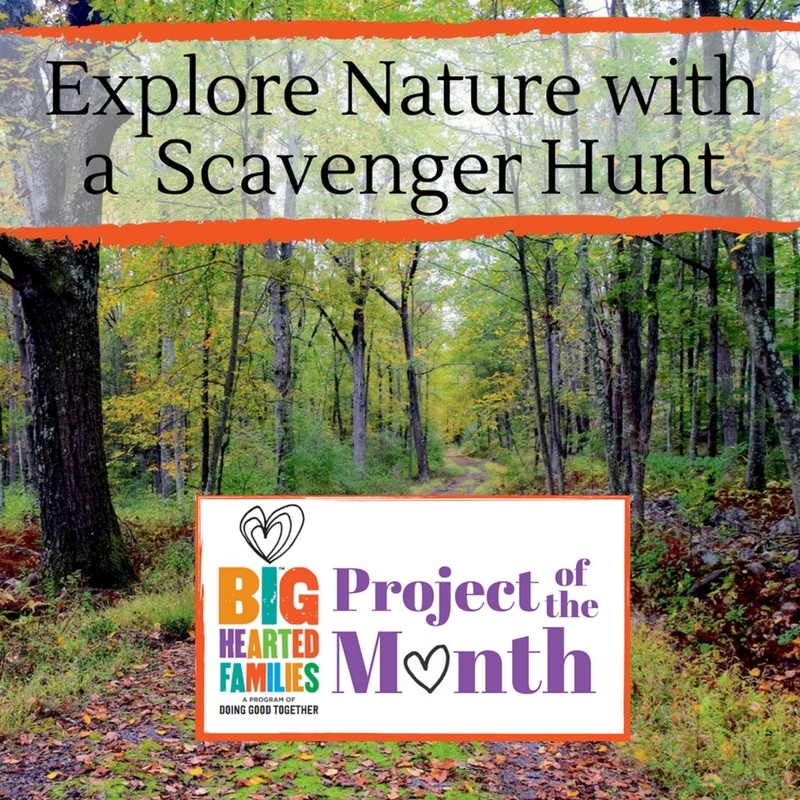 This is the opportunity for you if you are looking to get outside and connect with the outdoors right in your backyard! Volunteers are needed to work together to remove non-native and invasive plants. Ages: Due to youth protection laws kids under the age of 13 cannot create an account without a parent's permission. Children 13 and under are welcome to accompany a registered adult at the Park Beautification Days. Contact: Julie Kahrnoff, Parks Volunteer Program Coordinator, volunteer@prk.sccgov.org, 408.918.4940. Register here for the Bowhunters Park Beautification date. Register here for the other Park Beautification dates. Date/Time: Check the Events Calendar for multiple dates throughout June. Hands-On Conservation: Beach cleanups are a great and easy way to get involved in the preservation of our Sanctuary. By removing trash and debris from our beaches, we're helping foster a healthy and thriving Monterey Bay. Data Collection: At our cleanups we record data on the kinds and amounts of trash and debris collected. We use this information to help influence policy and increase awareness of how humans impact the environment. Contact: Emma Chiaroni, emma@saveourshores.org, 831.462.5660 ext. 2. To see all of our upcoming public beach cleanups, visit our events calendar. No need to RSVP to beach cleanups although large groups are encouraged to give us a heads up! Ages: All ages are welcome to volunteer; ages 16 and under must have an adult present. Time Commitment: Shifts vary between one and one-half hours and five hours. Feel free to sign up for one or more shifts if you are interested. Contact: Dawni Pappas, dawnipappas@gmail.com, 831.331.6535. Registration is available online. Come join the Veggielution team for weekly Youth Garden Activities. Every Saturday the whole family can enjoy gardening, crafting, and learning together in the Youth Garden. Participating in our Youth Garden activities is a great way to spend time with your children while exploring the garden, learning about the exciting processes of the natural world - not to mention making new friends. This is a unique opportunity to get your hands dirty and become better stewards of the environment as a family. Veggielution volunteer activities encourage exploration and play-based learning for the whole family. Ages: Families with children ages three and up are welcome to volunteer. Families visiting the Youth Garden should have a 2:1 child to adult ratio for ages 3-6, and a 3:1 ratio for ages 7 and up. All parents or guardians must fill out a liability waiver for themselves and for each child accompanying them. Feel free to print and fill out the liability waiver ahead of time, or fill out the waiver when you sign-in at the Youth Garden. JW House provides a warm, comfortable "home away from home" for families facing medical crises. Families and individuals from area hospitals are welcomed into the JW House family for rest and self-care during the day or overnight while their loved one is in the hospital. Dinner is Served is one of the most popular volunteer opportunities at JW House. After a long day at the hospital, our guests look forward to coming "home" to find that someone has planned, purchased the ingredients, and prepared --- a delicious meal just for them. Groups who participate in Dinner is Served soon discover that their efforts go far beyond simply supplying a dinner. As families gather for dinner, a warm sense of community exists. It is a place where families can relax with one another and check in on how another's loved one is doing. Contact: Laura Delgado, laura@jwhouse.org, 408.246.2224. The sign-up calendar shows available dates in RED - please click on a red date, then on "Click here to submit your information." Please complete the form to request that date. Someone from our office will contact you soon to confirm the date you requested. Date/Time: Monday through Friday from 7:30am to 6pm and Saturday from 9am to 5pm. We offer flexible scheduling throughout the week based on your needs and other commitments. Provide documentation of a negative TB test taken within the last year. Fill out a Volunteer Application packet. Obtain a parental signature (if under the age of eighteen) or, if under the age of 15, be accompanied by an adult. Attend a one-hour orientation at the Alzheimer's Activity Center. There are no set dates for the orientations; contact the organization to find a date and time that works with your schedule. Ages: Minimum age is 11 years old and anyone below the age of 15 needs to be accompanied by an adult. Both the children and their parents will need to attend the orientation, which can be done on the day of their first scheduled placement. Date/Time: Sunday, June 3. A variety of shifts are available between 9am - 5pm. Sunday volunteers assist with supportive services such as organizing, touch-up painting, gardening, general cleaning, various office projects, and filing. There is no client interaction on Sundays, as the Center is closed to the public. Volunteer attire should be casual and closed toe shoes should be worn. Ages: Minimum age is 11 years old. Volunteers younger than age of 15 need to be accompanied by an adult. Time Commitment: Shifts must be a minimum of two hours in length. A lunch and/or break(s) must be taken for shifts that are four hours or longer. EHP Cares provides emergency food, clothing, household essentials, support programs, and referral services for families in need. Volunteers are needed to help sort and prepare food for emergency food boxes, help sort and hang gently used clothing and other items in our Community Closet warehouse. We also need help with computer input, phone calls, gardening, and special projects. Ages: Ages six and older are welcome with an adult present. Teens can volunteer with parental consent. NOTE: Please email your volunteer request OR call to schedule volunteer dates and times. Time Commitment: Three to four-hour shifts. Volunteers may work full or partial shifts as needed. Cityteam provides services to people living in extreme poverty. Cityteam programs offer help such as hot meals, shelter, life transformation programs, clothing, hygiene items, learning, and career help. This volunteer opportunity encourages parents and children to work together to make a positive impact in the community for those in need. Families may assist with packing hygiene kits, food boxes, or sorting donations. Volunteers must wear long pants and closed-toe shoes. Please dress modestly and comfortably. Please do not bring valuables. We do not have a secure place for volunteers to leave belongings. We encourage volunteers to take this opportunity to clean out your closet, garage, or pantry and bring along items to donate. Ages: Families with children ages 11 and older are welcome to volunteer. Contact: Erin Campos, ecampos@cityteam.org, 408.232.5620. Registration is available online. The 2018 Cupertino Volunteer Fair will showcase the numerous volunteer organizations that dedicate their time and services to bettering society. Community members in both Cupertino and surrounding areas will have the chance learn about local volunteer opportunities. Whether it is a retired individual seeking to dedicate their time to a greater purpose, a student needing to complete service credit, or any individual seeking to better enrich their lives through volunteering, the Cupertino Volunteer Fair will help match volunteers with opportunities at local organizations. Visit the event site to see a list of organizations attending. Ages: Everyone is welcome to attend. Time Commitment: Stay as long as you would like. Location: San José. Municipal Stadium, 588 E Alma Ave, San José. Join The Trash Punx team as we partner with Operation: Care and Comfort to sort, box, and mail 1,000's of pounds of care packages for our deployed troops. This is Operation: Care and Comfort's quarterly military care package event. Please wear closed-toed shoes, and bring water, sunscreen, and sunglasses. Ages: Children ages five and up are welcome with adult supervision. Contact: thetrashpunx@gmail.com. Volunteers must pre-register online. Spaces fill quicky so please register asap. Location: Alum Rock Park, 15350 Penitencia Creek Road, San José. Please plan on arriving at the Penitencia Creek entrance by 8:45am, then follow the "Volunteer Event" signs to the parking lot. The park is very large and has very limited cell phone reception. Like to hike? Then volunteer to improve the trails! Foot traffic wears down the tread; bushes and wildflowers grow over the trail; and rain, fire and wind have their own effects. You and your family can help to maintain a safe trail. Trail Crew Days are a great way to learn about the park, try something new, and meet new friends. After your inspiring volunteer experience, you will end up feeling refreshed, rejuvenated and ready to hike even more! No experience necessary. Come meet others who enjoy hiking and the great outdoors. Training and tools are provided, but you are welcome to bring your favorite tool. Long pants, a long-sleeve shirt, sturdy shoes, sunscreen and a hat are recommended. Please bring a filled water bottle and your own snack. Ages: School age children are welcome to participate. Elementary and Middle school students must attend with an adult. Contact: ParkVolunteer@sanjoseca.gov. Registration is available online. Ages: Families with children seven and older are welcome to participate. Volunteers under age 15 must be accompanied by an adult. All volunteers must complete the waiver form required by the City of San Jose. Join millions of Americans on National River Cleanup Day to remove litter in our waterways. Litter found around the County parks and streets eventually ends up in our local creeks and rivers which flows out to the San Francisco Bay. You can make a difference not only in your community but for the whole Bay Area. Bring your family and let's have some fun! Ages: Families with children ages 6 and up are welcome to participate. Children under age 15 should have an adult present. Contact: volunteer@prk.sccgov.org, 408.918.4930. Registration is available online. Parents bringing children should only register the adults. Date/Time: Saturday May 19, the 5K starts at 8am. Volunteer times vary by assignment. At Girls on the Run we inspire girls to recognize their inner strength and celebrate what makes them one of a kind. Trained coaches lead small teams through our research-based curricula which includes dynamic discussions, activities, and running games. The program culminates with girls positively impacting their communities through a service project and being physically and emotionally prepared to complete a celebratory 5K event. This event would not be possible without the help of amazing volunteers who believe in our mission and show up to support our girls. Over 250 volunteers are needed to put on our best 5K yet! Whatever your special skills and talents, we have a role for everyone. Contact: Laura Krebs, laura@gotrsv.org, 408.313.1512. Registration is available online. A separate registration is needed for each member of the family. Find family-friendly volunteering opportunities for the month of April in the Silicon Valley area. Grassroots Ecology leverages the power of volunteers to create healthy lands across Silicon Valley. We restore native plants to open spaces and neighborhoods, steward creeks and watersheds, and provide hands-on nature education. Please bring a reusable water bottle and dress for outdoor work (sturdy shoes and long pants recommended). We will provide gloves and any needed tools. Ages: All ages are welcome to participate. Children under 12 require an accompanying adult unless prior approval is obtained from the workday supervisor. All volunteers under age 18 must have a waiver signed by a parent or guardian. A BioBlitz is an event that focuses on finding and identifying as many species as possible in a specific area over a short period of time. At a BioBlitz, scientists, families, students, teachers, and other community members work together to get an overall count of the plants, animals, fungi, and other organisms that live in a place. Join the Kelley Park Winter BioBlitz where citizens and experts come together to explore the park, and document observations of all living things in a short period of time. Docents will guide you and teach you to use the iNaturalist app on your smartphone or tablet to record all the living things you encounter. Flowers, trees, butterflies, dragonflies, beetles, birds, and squirrels. 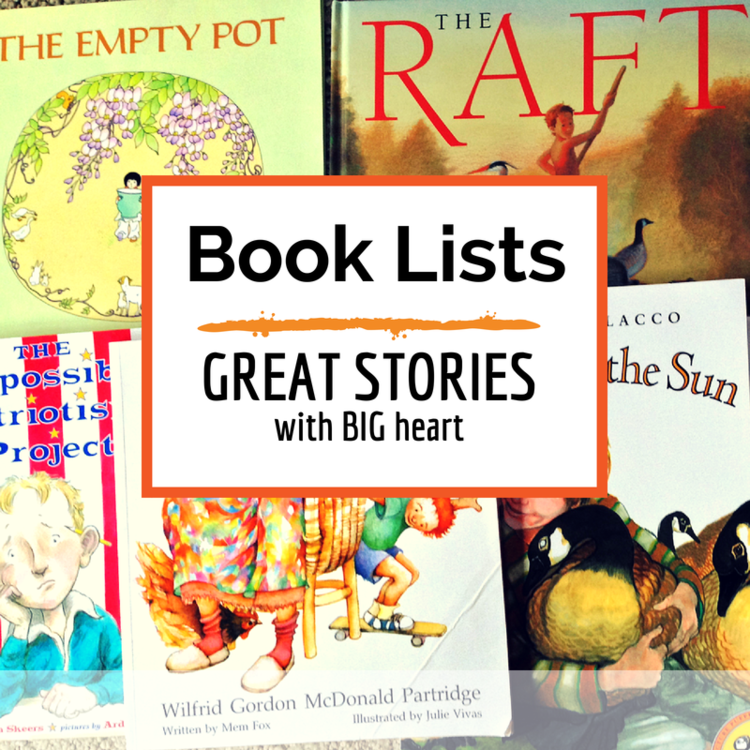 We love them all - now let's go find them! And, if you don't want to bend over to see that spider, you can pick up a litter stick and bucket and collect the litter near the creek and in the park to keep it clean. Every little piece counts! No experience necessary. Come meet others who enjoy hiking and the great outdoors! We'll visit the Coyote Valley Open Space Preserve, bike south and then back north across the valley floor, hop on the Coyote Creek Trail at Coyote Creek Golf Drive to the Anderson Lake Visitor Center, bike up to Northern Coyote Valley along the Coyote Creek Trail, and we'll make a stop at Spina Farms. Together we'll learn more about the history, wildlife, water, and agricultural story of this area. Bring your bike, a helmet, sun protection, 1-2 liters of water, and a bag lunch. You may want to bring cash or card to buy something at the Spina Farm Stand. Speakers will include Deb Kramer with Keep Coyote Creek Beautiful and our Executive Director Megan Medeiros. Ages: All ages are welcome to participate if they can complete the 21-mile loop safely. Contact: Deb Kramer, deb@keepcoyotecreekbeautiful.org, 408.372.7053. Register your family for this educational bike ride here. Date/Time: Wednesday March 14, 4 -7 pm. If you are not able to attend the March 14 event, donations will be accepted now through March 14. Join us for food and fun at this Open House donation drop-off event! Community Solutions is a comprehensive non-profit human services agency serving Santa Clara County and San Benito County. Since 1972, we have responded to the growing and changing needs of our community, serving several thousand people from young children to older adults each year. Help support their efforts by donating diapers and wipes for their littlest clients through this event! Cityteam provides services to people living in extreme poverty. Cityteam programs offer help such as hot meals, shelter, life transformation programs, clothing, hygiene items, learning and career help.This volunteer opportunity encourages parents and children to work together to make a positive impact in the community for those in need. Families may assist with packing hygiene kits, food boxes or sorting of donations. The Winter Faith Collaborative is an interfaith movement that was formed to share ideas and advocate for the houseless community. We have engaged over 100 faith communities across Santa Clara County with the collective aim to serve and shelter those in the houseless community who are living outdoors this winter. Your willingness to volunteer at the shelters is critical in our effort to house the unhoused and save lives this winter. The Grace Baptist Church provides shelter to 50 houseless guests during the winter. Volunteers are needed to bring and serve dinner nightly. Volunteers are needed to provide a hot meal for 60 guests along with any necessary paper/plastic goods for serving the meal. Ages: Families welcome with children. Children under 16 need to be supervised by an adult at all times. Contact: winterfaithcollaborative@gmail.com. Registration is available online. HomeFirst™ is a leading provider of services, shelter, and housing opportunities to the homeless and those at risk of homelessness in Santa Clara County. We serve more than 4,000 adults, veterans, families, and youth each year at seven locations including our Boccardo Reception Center, which is the county's largest homeless services center. Are you planning to do some cleaning and reorganizing around your home? Donated household supplies are greatly appreciated at HomeFirst. When a shelter guest secures permanent housing, we congratulate them with a "Move-In Kit". Click here for a list of items to donate for the kits. We love to get the kids involved too! Families might consider making some homemade cards to put in each kit congratulating the shelter guests on their new home. Non-perishable, store bought treats are also welcome. Date/Time: Sundays - Shifts available between 10:30am and 5:30pm. There are some afterschool shifts on weekdays at our special store. Work with the OFJCC to make and deliver individual meals for those who are unable to prepare meals for themselves. Jewish Family and Children's Services (JFCS) has partnered with us to make it possible for us to help provide these meals. The project will be done in two stages. First, we will prepare individual meals in our community kitchen and pack them. Next, we will divide and deliver the prepared meals to the designated people. 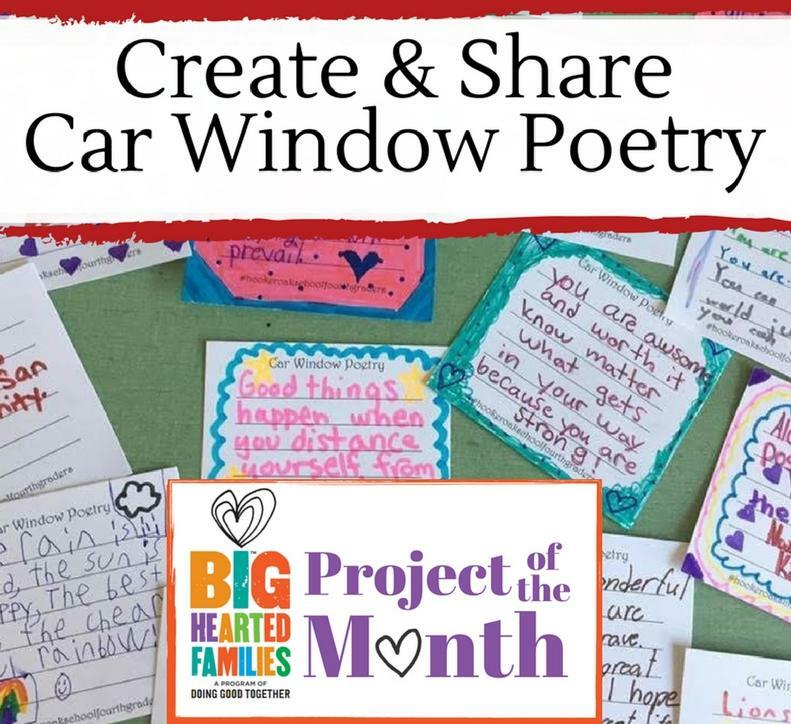 This is a great opportunity for families to do a project together as well as deliver it personally to someone in need! Please remember to wear closed toed shoes and have your hair up or covered. Contact: Robin Vasilakos, rvasilakos@paloaltojcc.org, 650.223.8791. To register visit the Oshman Family JCC event calendar! There With Care provides a wide range of thoughtful and fundamental services to children and families during the critical phases of a medical crisis. They serve families referred by medical agencies by building a network of services and people who ease the burden of life's day-to-day obligations with compassion and care. Help care for the families of critically ill children in your community by delivering groceries and needed items to them. Adult volunteers must attend a one-time mandatory 90-minute training before heading out with grocery and supply deliveries from our pantry in Redwood City to families on the Peninsula, Lucile Packard Children's Hospital, and Ronald McDonald House. Please bring your children of all ages to help you volunteer! Ages: 18 years old with drivers license, background check and orientation for drivers meeting with families, but please bring your children! Time Commitment: Flexible; orientation is required. Register for orientation online. Sacred Heart Community Services La Mesa Verde (LMV) is a network of low-income urban gardeners who build access to healthy food in San Jose. LMV builds garden beds, shares knowledge, and creates a mutually supportive community through workshops, events, and volunteering. LMV enrolls 50 new families a year to receive redwood planter boxes, soil, seedlings, and educational workshops to learn about urban gardening. On February 3, volunteers will come to Sacred Heart for LMV's Build Day to build 55 new garden beds for 2018. Once the beds are built, installation volunteers will be needed to install these beds at the recipients' residences. Build installation days volunteer tasks will include helping with soil deliveries, building beds, and installing the beds under the guidance of our trained Build Leads and members, on a weekly or one-time basis. No experience necessary, only the willingness to learn. Ages: Volunteers must be 13 or older. All volunteers under the age of 18 must be chaperoned by an adult. Any volunteers 17 and under must fill out this waiver. Contact: Lindsey Zimmer, lindseyz@sacredheartcs.org or 408.775.5760. Please contact Lindsey to register for any of these projects. The mission of Alzheimer's Activity Center is to enrich the lives of people affected by Alzheimer's and related conditions by providing safe, nurturing, intergenerational services and support. The Rosa Elena Childcare Center, also a program of Respite and Research for Alzheimer's Disease, brings the intergenerational component to the programs. Sunday volunteers provide support to the organization when clients are not on site. Volunteers are needed for the Parks & Recreation Commission Let's Work! program at Quarry Park on the second Saturday of every month from January through April. Volunteers will meet in the parking lot, then help remove invasive plants to beautify and maintain the trails. Please bring gloves, water, and sunscreen, and wear closed-toed shoes and long sleeves. Ages: Ages 10 and up with an adult present. Ages 14 and up can serve without supervision. Contact: Babette McKay, bmckay@saratoga.ca.us, 408.868.1265. To register, visit the event page and be sure to fill out the volunteer waiver form and bring it to the event. Our community has been over-populated by a massive amount of trash. The Trash Punx decided to do something about this by uniting our community together. Join us as we pick up trash around our community, one piece at a time, and have fun while doing it! Join The Trash Punx team as we target a specific area of San Jose invaded by litter. Please wear closed-toed shoes, and bring water, sunscreen, and sunglasses. Ages: Children ages six and up are welcome with adult supervision. Contact: Justin Imamura, thetrashpunx@gmail.com. Registration is available online. Date/Time: Saturday, February 17, 8 - 11am. Click for schedule details. Be a Hero. Help a Cause. Join the Run. The Super Run is a national series of 5K, family friendly running events that partners with local nonprofit organizations to put on superhero themed events to help raise funds and awareness for their cause. The partners for the San José Run are the American Association for Cancer Research, Asian American Donor Program, Cure Search, Autism Run, Fleece & Thank You and the Superfly Foundation. As a registered runner, you have the option of raising funds for these charities through an individual Crowdrise page you can share with your friends. If 5K is a bit far for your kids, there is a Kids Run at 10:15am! Ages: All ages are welcome to participate in the run. Strollers are welcome! Please note that only registered runners receive a cape and medal, so if you want your child to receive a cape and medal, they will need to be registered. Only participants with a bib (given out at packet pick up) will receive a finishers medal. Contact: Service@superflyrunning.com. Click here to register. Join The Trash Punx team as we partner with Operation: Care and Comfort to sort, box and mail thousands of pounds of care packages for our forward deployed troops. This is Operation: Care and Comfort's first 2018 public military care package event. Please wear closed-toed shoes, and bring water, sunscreen, and sunglasses. Time Commitment: Flexible. Join for as long as you are able! Location: Initial meeting and training will be held at 800 Middle Ave., Menlo Park. Food pickups are in San Bruno, San Mateo and Menlo Park. The mission of PVI Meals on Wheels is to increase food security and access to nutritious food and to keep older adults and adults with disabilities well-nourished and healthy, living independently in their own homes. After an initial phone visit, adult volunteers are asked to do a drive along. To volunteer, please bring drivers license and proof of insurance. There is a training and volunteer orientation at the first meeting. If a volunteer wants to drive a route once a week (weekdays only, no weekends or evenings) they are welcome to bring their children on the route. Ages: Drivers over 18 with two years of driving experience. Children are welcome to come along on deliveries. Time Commitment: Three hours, once a week with a three-month commitment. Contact: Laura Delgado, laura@jwhouse.org, 408.246.2224. The sign-up calendar shows available dates in RED - please click on a red date, then on "Click here to submit your information." Please complete the form to request that date. Someone from our office will contact you soon to confirm the date you request. EPAMade is a social enterprise that employs and trains single mothers from East Palo Alto to gain job and life skills needed for sustainable employment. We help empower single mothers through employment and job coaching. EPAMade is a social enterprise under LevMade, Inc., a tax exempt 501(c)(3) nonprofit that incubates and launches social businesses to level the economic playing field. On the first Saturday of each month volunteers are needed to help sort donations at our thrift shop. Contact: volunteer@epamade.com. To sign up for the Saturday Donation Sorting, email the Volunteer Coordinator at volunteer@epamade.com. City parks always need a bit of volunteer help! Come join our new Sunday Series: park clean-up volunteer events on Sunday mornings. With 10 Council Districts in the City of San José, each week we will visit a different park in one of the 10 Council Districts. Come volunteer and experience all the unique and special parks we have in San José. All tools and supplies provided. Please wear closed-toe shoes and bring a filled water bottle. Contact: ParkVolunteer@sanjoseca.gov, 408.595.3483. No need to RSVP, simply show-up and help-out! Volunteers are needed to participate in a creek and trail cleanup. Please bring your own water container which we will fill for you. South Bay Clean Creeks Coalition supplies gloves, pick-up sticks and miscellaneous tools. Please wear long pants, a hat, sunscreen, and be ready to spend the morning in light to moderate work. We have work for all ages and physical ability levels. Ages: Minimum age to volunteer is 13. Volunteers age 13 to 15 must have an adult present to participate. Come celebrate MLK Day and the National Day of Service by helping maintain our magical one-acre school garden. Join families and students in the East Palo Alto Charter School Garden for a morning of weeding, mulching, planting, turning compost, and starting seeds. The school's one-acre garden is a beautiful outdoor learning classroom full of vegetables, flowers and fruit trees. We appreciate your help maintaining the garden and getting it ready for 2018. Event will be cancelled if it rains. 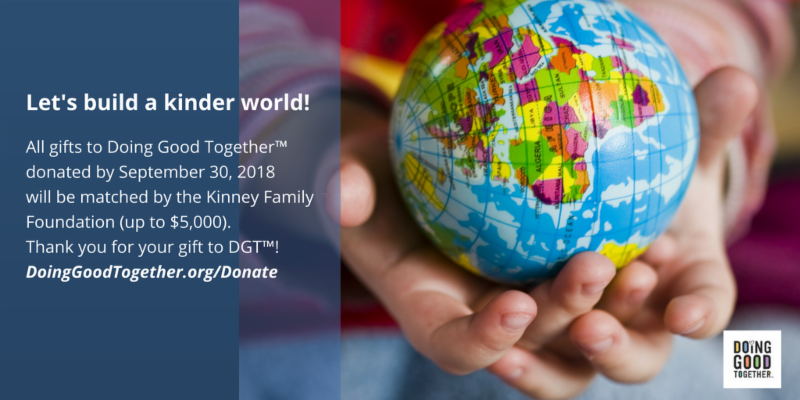 Join hundreds of your neighbors for a community-wide day of "tikkun olam" ("repair of the world") as part of a National Day of Service to honor the life and legacy of Dr. Martin Luther King Jr. This intergenerational event will feature a range of hands-on service projects; participants will work in small groups on projects addressing issues of poverty, hunger, housing and homelessness, aging, the environment, and more. Come on your own or with your family and friends! We look forward to working with you to promote Dr. King's legacy of tolerance, peace, and equality and increase our community's commitment to service and justice. This fun and inspirational day will leave you feeling accomplished and energized. Ages: Everyone is welcome to participate. Volunteer projects are organized by age, please check the website for details. We ask that a parent accompany any volunteers under the age of 15. This event is open to families of all faiths or beliefs. Date/Time: Monday, January 15, 8:30 - 11am. Take the Caltrain Norcal MLK Celebration Train to the MLK2018 celebration events in San Francisco on Monday, January 15, and honor the life and legacy of Dr. King through exciting activities for all. This free commemorative service is a program of the Northern California Dr. Martin Luther King, Jr. Community Foundation, in partnership with Caltrain, and it signals the region's dedication to continue the service begun by the late Coretta Scott King. Once there, celebrants will be able to immediately take part in the MLK2018 March/Parade or head directly to Yerba Buena Gardens to take part in a full day of festivities. For more information about the Dr. Martin Luther King Jr. Celebration, visit sfmlkday.org. All of the day's events are free and open to the public. Time Commitment: Train ride is approximately two hours one-way, event times may vary. Volunteers are needed to pick up litter, scrub down picnic tables, and clean graffiti at Welch Park. Our work will allow family, friends, and local community members to enjoy the beauty of the park, which has been neglected for some time. Please wear comfortable shoes and clothing that you don't mind getting dirty. San José Project is a nonprofit organization dedicated to giving back to the city of San José. Through different service projects, we hope to create a sense of unity and togetherness, and to positively impact our community. Time Commitment: Three to four hour shifts. Volunteers may work full or partial shifts as needed. The mission of the Alzheimer's Activity Center is to enrich the lives of people affected by Alzheimer's and related conditions by providing safe, nurturing, intergenerational services and support. The Rosa Elena Childcare Center, a program of Respite and Research for Alzheimer's Disease, brings an intergenerational component to their programs. The Center provides ongoing volunteer opportunities on both weekdays and weekends. Volunteers at the Center work directly with clients, engaging in fun activities, games, crafts, and meaningful conversations. Attend a one hour orientation at the Alzheimer's Activity Center. There are no set dates for the orientations; contact the organization to find a date and time that works with your schedule. Ages: Minimum age is 11 years old and anyone below the age of 15 would need to be accompanied by an adult. Both the children and their parents will need to attend the orientation, which can be done on the day of their first scheduled placement. Location: Multiple faith communities throughout San José and Santa Clara county offer temporary overnight/daytime shelter or a safe car park for those who sleep in their vehicles. You can volunteer at either one location or multiple locations depending on your preference and time. The Winter Faith Collaborative is an interfaith movement that was formed to share ideas and advocate for the houseless community. The Collaborative has engaged over 100 faith communities across Santa Clara county with the collective aim to serve and shelter those in the houseless community who are living outdoors. Your willingness to volunteer is critical in this community effort to shelter the unhoused and save lives this winter! Volunteers are needed to staff the temporary shelters and safe car parks, and perform services such as providing meals for the guests, and if possible stay to eat with the them. Part of our aim is to raise awareness of who those without homes actually are. By sharing a meal with guests, volunteers quickly realize that the guests are people just like themselves who have landed in this position due to situations such as loss of a job, poor health, domestic violence, or eviction due to rent increase. Misconceptions are broken down by talking with one another over a meal. Guests are screened and it is very safe for children to participate. We have found that families with children have enjoyed helping with meal preparation, serving guests, and eating and talking with the guests. And the guests appreciate the chance to be treated with dignity and care. We encourage you to give it a try! Each location has its own rules for volunteer eligibility, but there are multiple options for serving with children. Providing a home cooked meal is usually the most needed job that children can enjoy with their families and is very appreciated by the guests. Ages: Varies by shelter. Adult supervision is required when children are present. Contact: winterfaithcollaborative@gmail.com or 408.345.5351. Registration will be available online soon. Volunteer opportunities begin in mid-January and will be added throughout the spring. Please check sign-up page periodically.